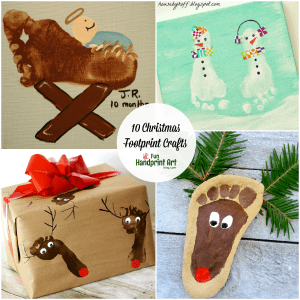 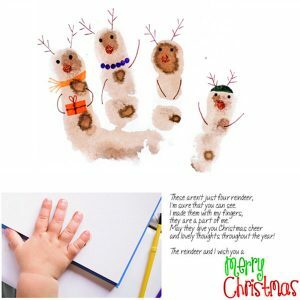 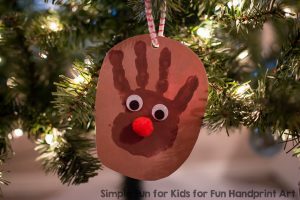 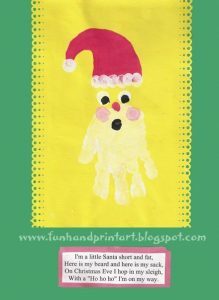 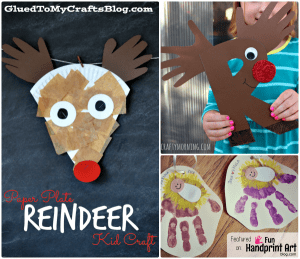 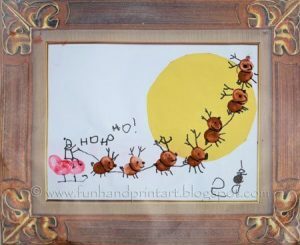 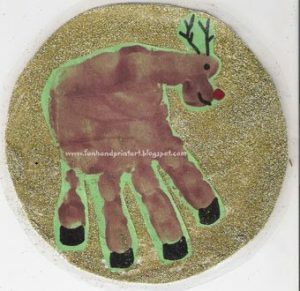 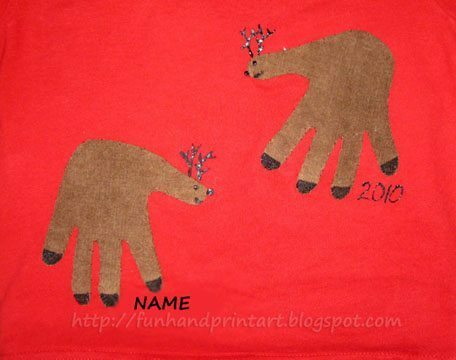 This handprint Reindeer shirt applique is so easy to make and it’s such a cute keepsake! 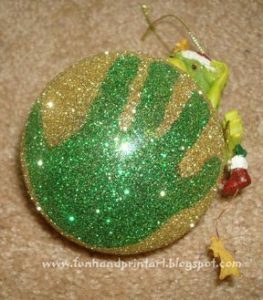 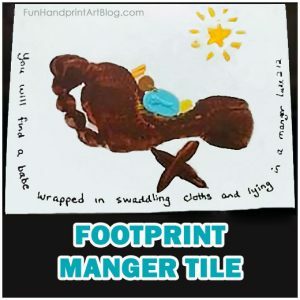 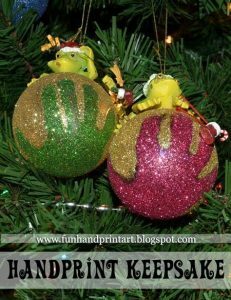 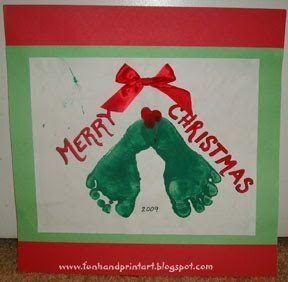 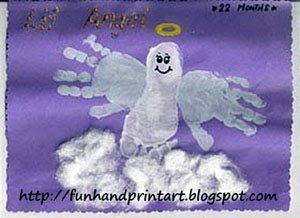 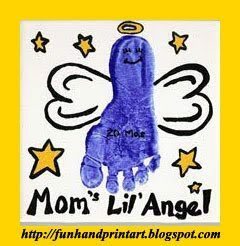 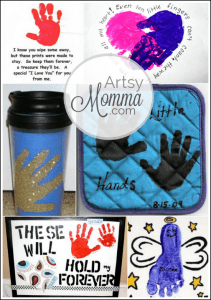 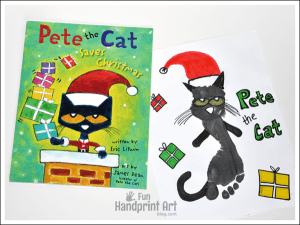 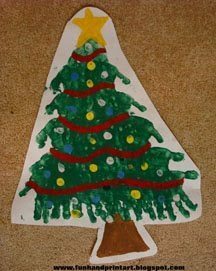 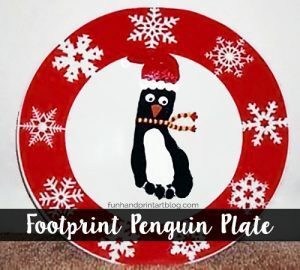 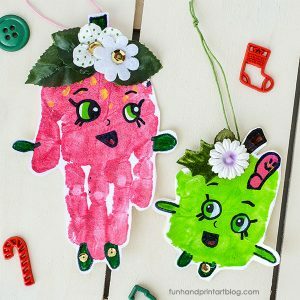 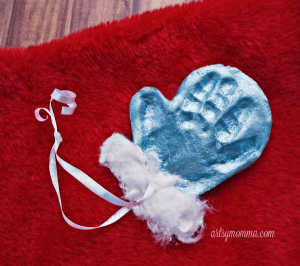 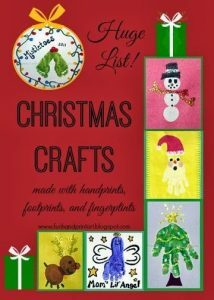 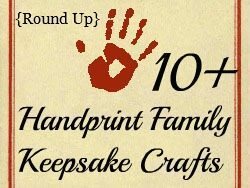 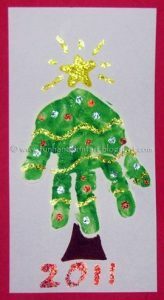 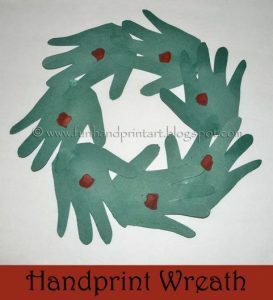 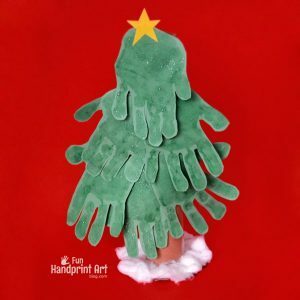 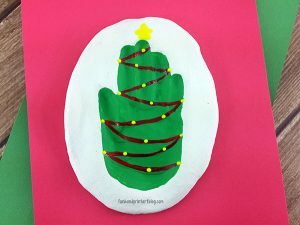 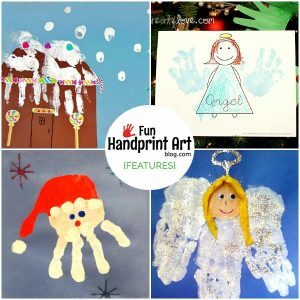 I decided to make a fabric applique one, but you could also use painted handprints instead. 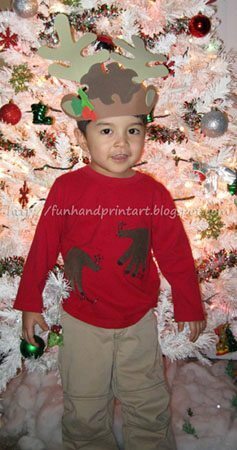 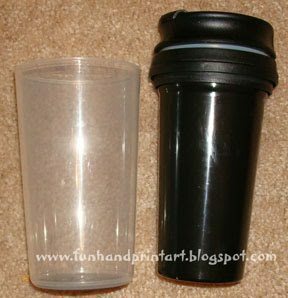 To make the shirt, I used HeatnBond , an old pair of brown corduroys, and I bought him a plain, red shirt from Wal-mart ($3). 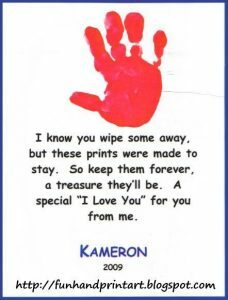 I made a template by tracing my son’s hands on paper & cutting them out. 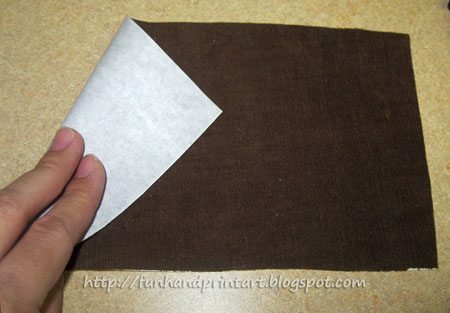 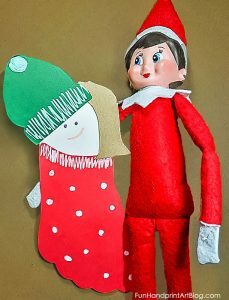 To start, follow the directions on the HeatnBond and iron the wrong side of the fabric to the non-paper side of the HeatnBond. 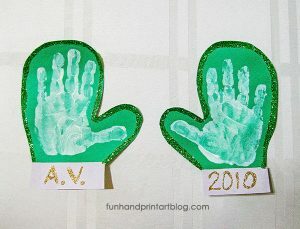 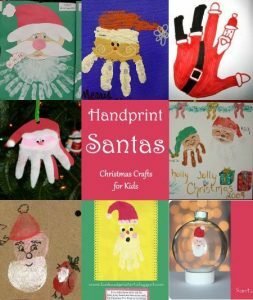 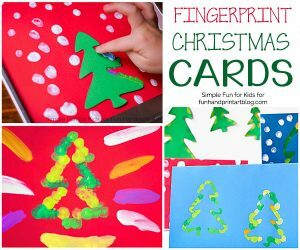 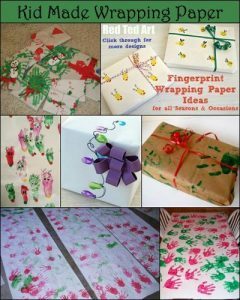 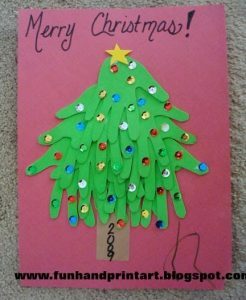 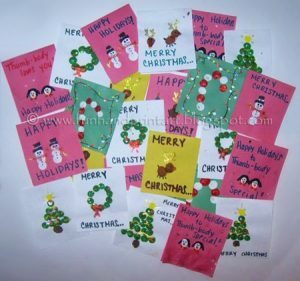 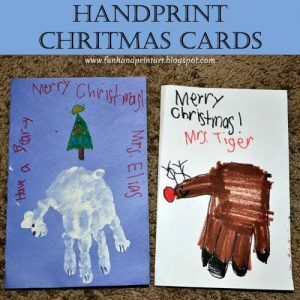 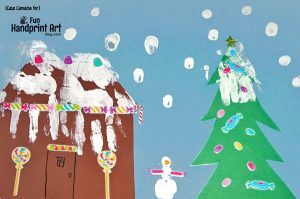 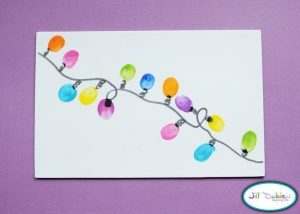 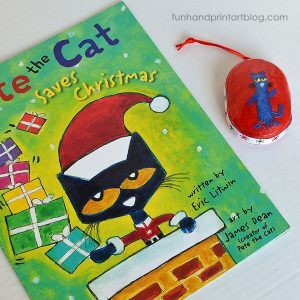 When it cooled, I peeled the paper off and pinned the handprint templates to the fabric. 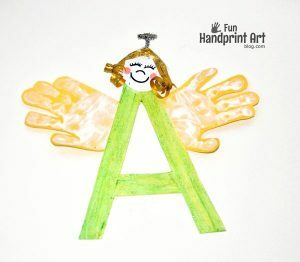 The ironed-on HeatnBond makes the fabric stiffer and easier to cut. 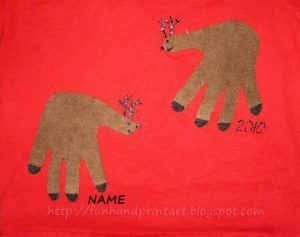 Next, place the cut-out handprints on the shirt with the right-side of the fabric facing up (see photo below). 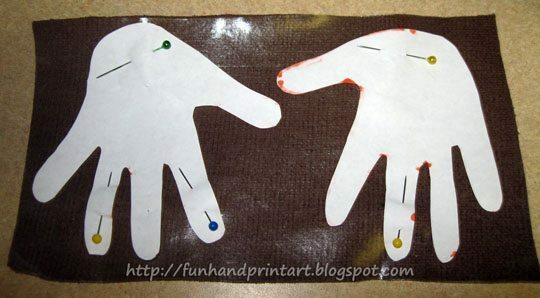 The shiny part where you peeled the paper off should be facing down. 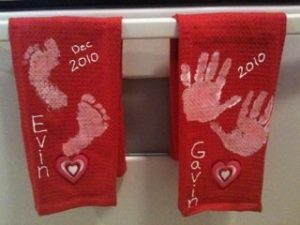 Iron the fabric handprints on according to directions. 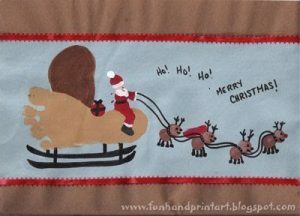 I took brown thread and stitched around the edges by hand (I just have a cheap sewing machine that doesn’t do all the fun stitches). 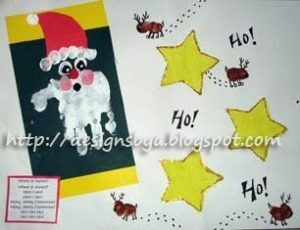 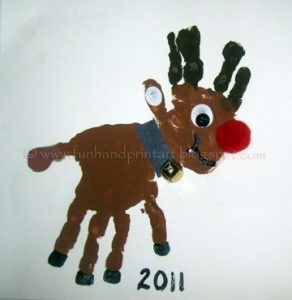 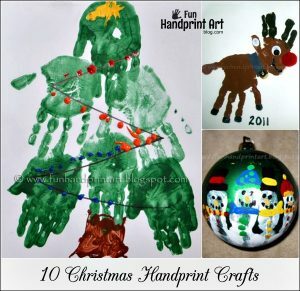 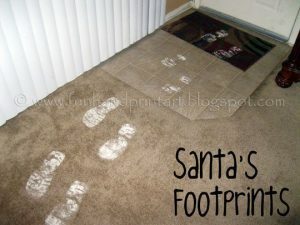 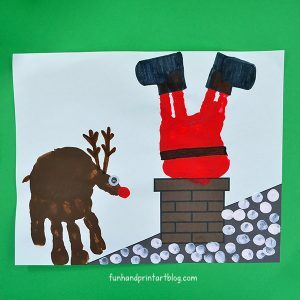 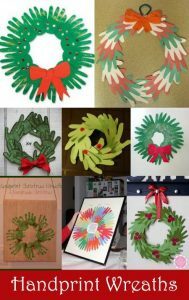 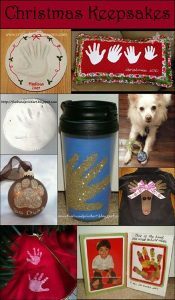 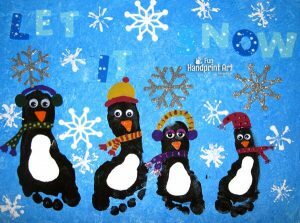 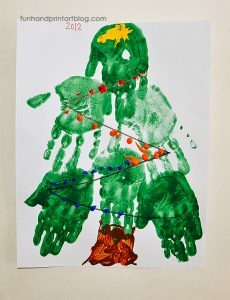 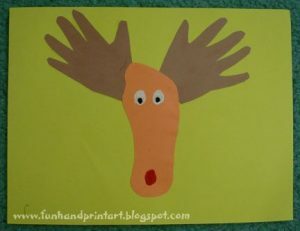 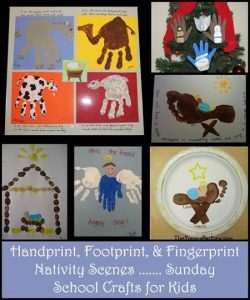 To finish, I used black fabric paint to turn the hands into reindeer (see 1st photo). 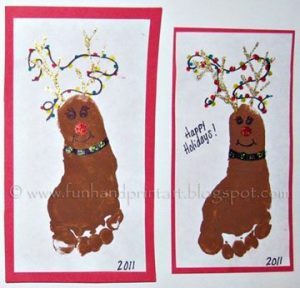 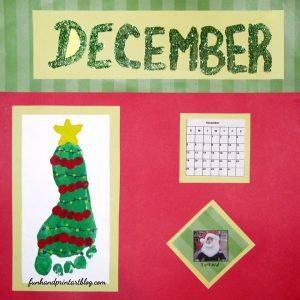 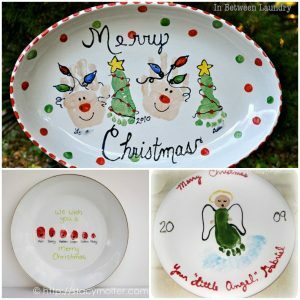 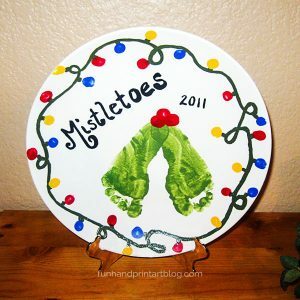 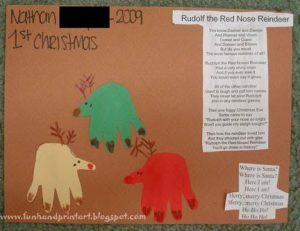 I made antlers, hoofs, and wrote in his name & the year. 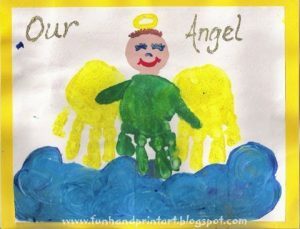 He loves wearing his hands on his shirt! 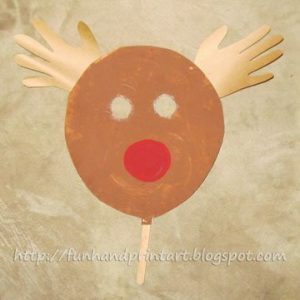 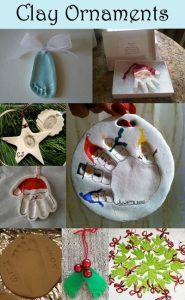 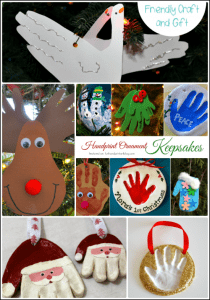 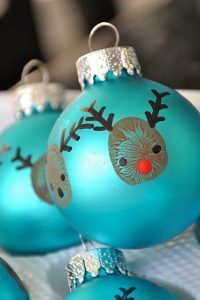 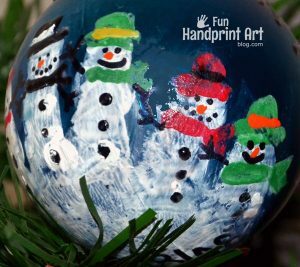 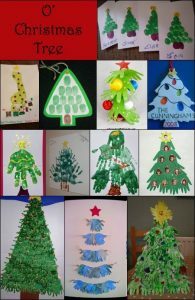 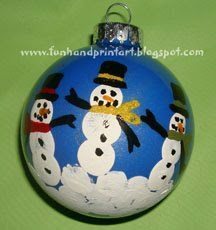 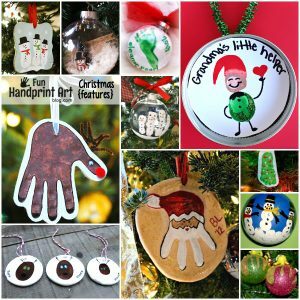 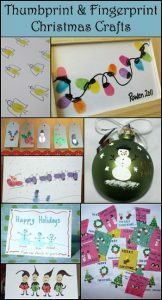 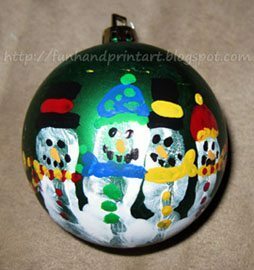 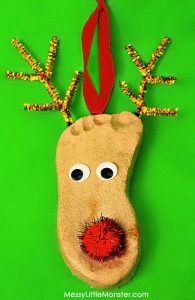 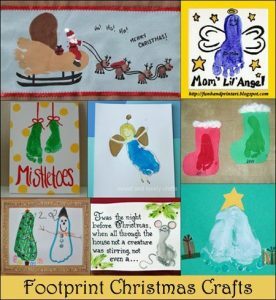 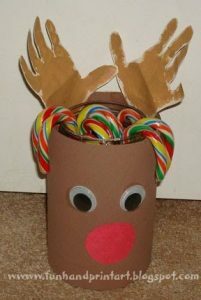 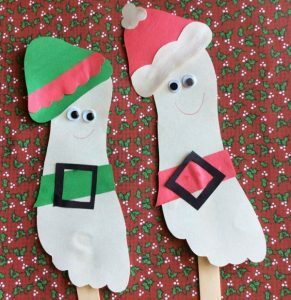 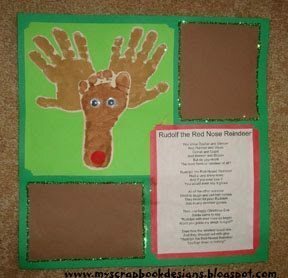 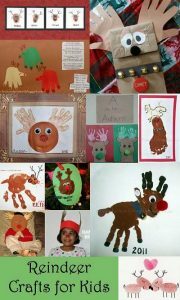 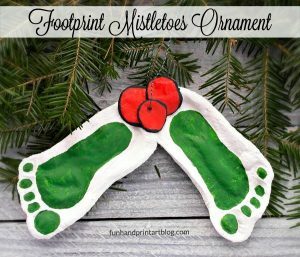 → Check out more Reindeer Crafts here.